Capture by ShutterBooth is one of many incredible offerings that can help make any event you host exciting, interactive and unforgettable. If you think Capture is right for you, please do not hesitate to contact us today! Our people make the difference! Your ShutterTeam is committed to help you in every way. From the moment of your first contact with us, to the delivery of the products and our high five for a job well done, we are there to help you celebrate this most important day. Your ShutterSpecialist, your host, and our entire ShutterTeam are truly dedicated to bringing your ShutterBooth experience to life. 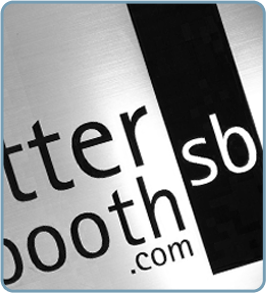 ShutterBooth is committed to providing you, our Customer, with a positive and rewarding experience. We are dedicated to exceeding your service expectations. Our business is based upon the philosophy of not being willing to settle for the minimum requirement or the minimum expected, but by the philosophy of taking pleasure in going the extra mile in enthusiastically serving the needs of our clientele. We understand the importance of your special day and we are committed to providing you with a quality product and exceptional service. We have designed our booth to be customizable to meet your specific desires. If you don’t see an option you like, we will work with you to meet your vision.